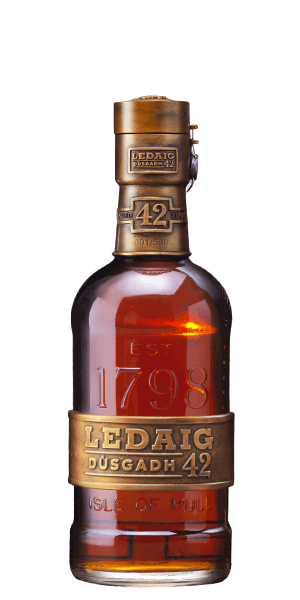 Ledaig 42 Years Old “Dùsgadh” is more than a special Whisky … it’s a story unto itself of glorious perfection. It is a shame to speak too much about packaging when discussing such a fine, limited treasure as this … but we must. You see, they have just retired those 1972 stills, and the copper cladding on the bottles comes directly from those old stills. When you only produce 500 bottles you can do things like that. But there is more! In that lovely box is a small copper card that, when registered, allows you to receive a bottle of Ledaig Déanta—another special release due in ten years time. OK … that’s pretty cool, right? Forty-two years of glorious sleep … a Highland nap, first in a series of hogsheads and butts. Then, in 2001 master distiller Ian Macmillan moved the Whisky into first-fill Gonzalez Byass Sherry casks for another fifteen years. The classic smoky dram of Ledaig is mellowed and layered to glorious perfection. What does Ledaig 42 Year Old Dusgadh taste like? The Flavor Spiral™ shows the most common flavors that you'll taste in Ledaig 42 Year Old Dusgadh and gives you a chance to have a taste of it before actually tasting it. Excellent aged whisky with a multitude of flavor complexity and an absolute blessing to enjoy with friends, close friends.